Porsche 911 Cabriolet Running Costs, MPG, Economy, Reliability, Safety | What Car? 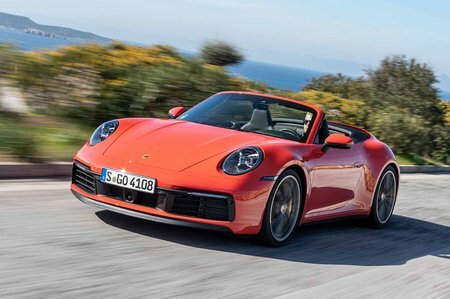 It might be easy to look at the 911 Cabriolet’s list price and immediately call it expensive, but these things are relative. It’s tonnes cheaper than the Ferrari Portofino, despite being very nearly as fast, and it undercuts the likes of the Audi R8 Spyder and Mercedes-AMG GT Roadster by a useful amount. That said, you can buy a BMW 8 Series Cabriolet or Jaguar F-Type Roadster for even less. Economy on paper doesn’t look too bad at just over 31mpg, although you’ll have to drive exceedingly carefully to get anywhere near that. As for emissions, you’re looking at over 200g/km which puts both the two and four-wheel drive versions in the top 37% BIK company car tax rate. 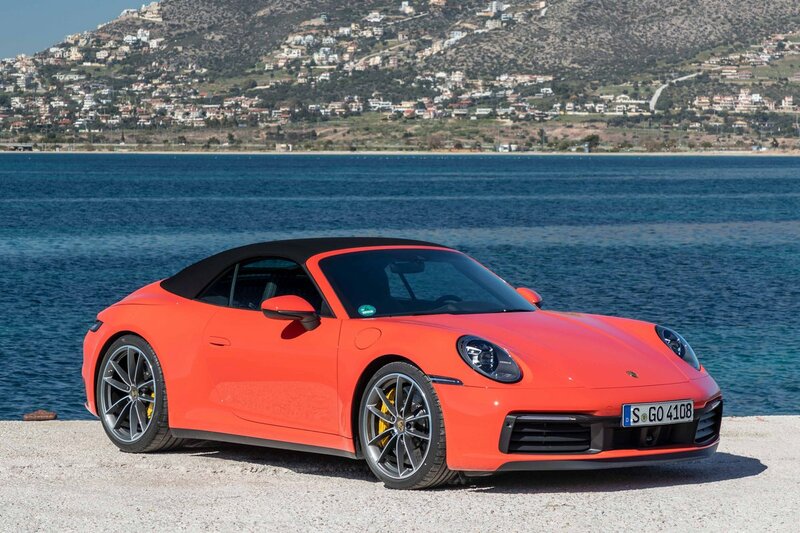 Both the Carrera S and Carrera 4S have a reasonable level of standard equipment, although you’ll still want to shell out for the Sports Chrono pack, keyless entry, auto wipers and, possibly, the four-wheel steering. The good news is that, as we recommend sticking with the significantly cheaper two-wheel drive model, you’ll have a few quid for upgrades. The 992 is too new to have featured in our latest What Car? Reliability Survey, but Porsche as a brand came towards the bottom of our 2018 survey. On the plus side, the 992 comes with a three-year, unlimited-mileage warranty, plus you get three years’ European breakdown cover. You can also pay extra for an extended warranty once the factory warranty expires. Six airbags are standard, as is a sophisticated stability control system. There are also Isofix child seat-mounting points on each rear seat; and an Isofix point on the front passenger seat. There’s also plenty of advanced safety aids on the options list, such as blindspot monitoring, lane-keeping assistance and adaptive cruise control, with automatic emergency braking that will automatically apply the brakes if it senses an impending crash. The 911 hasn’t been crash tested by Euro NCAP, so no scores are currently available. An engine immobiliser and an alarm are standard, but you can pay for Porsche’s vehicle tracking system if you want more protection, which makes it possible to trace stolen vehicles across most of Europe. Not only is the 911 Cabriolet a speedy soft top with top-class handling, it feels more luxurious than ever inside. This isn’t just a car you could drive every day, it’s one you’ll really want to.